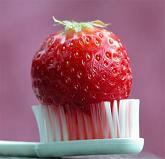 Great teeth can be considered as confidence booster. With this thought, you’ll realize why there are so many people who would really spend much penny in consulting an orthodontist if there is something wrong with the alignment of their teeth and spend even more for invisalign braces. 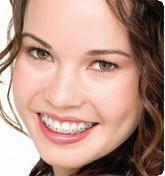 Orthodontics is a great help in attaining this desire to have that killer smile. Some would be so eager to have pearly white teeth even if they are still wearing braces. And probably that is why you are reading this article it’s because you are one of those people who are worrying how to whiten it even if you have braces. I see how people have tried to try different whitening products just to remove the stain in their tooth or to simply bleach their yellow teeth. There is a vast of whiteners out in the market. Just choose wisely. Visit your dentist regularly. Your dentist will clean all the accumulated plaque and dirt stuck in your braces. Try some home remedies. Home remedies are safe, effective and cheap. You can use strawberries, baking soda, orange peel, and also you can read other article in this site about how to use lemon juice as teeth whitener. Use the best over the counter teeth whitener such as Colgate, Supersmile and Rembrandt. 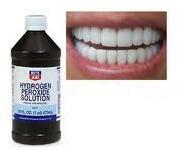 You can also use mouthwash with whitening effect. Consider waiting as an option. You can just wait until your braces were being removed and try laser or zoom whitening treatment.